Maybe if you’d written over a hundred books for children, you could take a break, but not Marilyn Singer. 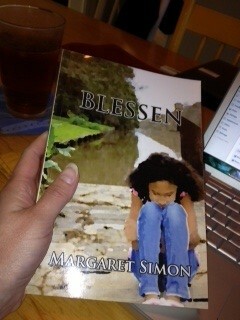 I first met Marilyn at NCTE a few years ago when she was reading from and presenting about her books of reverso poems. Reverso is a brilliant form that I fail at miserably, but Marilyn has at least three books full of them. This summer at ALA I was able to grab a new copy of Every Month is a New year. Marilyn signed it, “Happy New Years!” Who knew that every month, someone somewhere in the world is celebrating a new year? The extent of Marilyn’s research alone for this book is impressive. There are 77 sources listed in the back matter of the book! 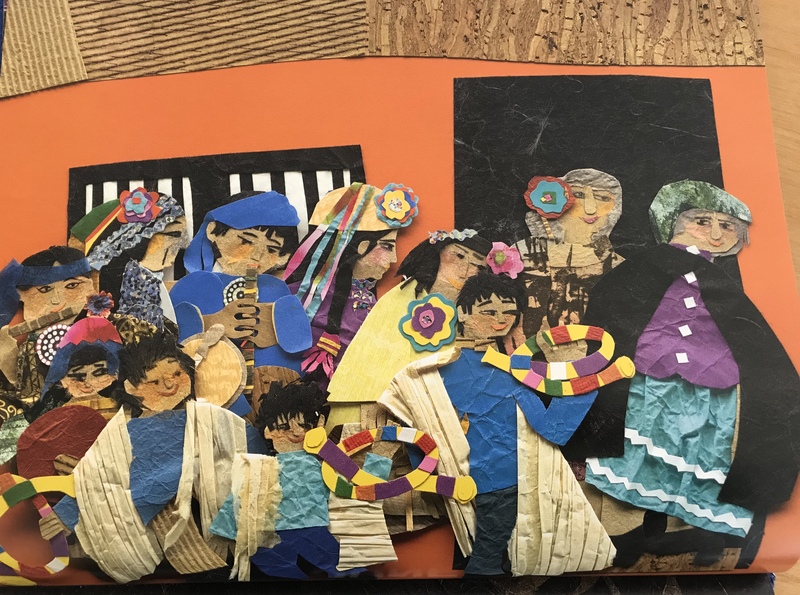 Illustrator Susan L. Roth uses mixed media for the illustrations. You can imagine touching each piece and feeling the soft paper and fabric collaged together. The experience of this book is different from other picture books because it opens horizontally like a calendar. Actually, I would love to have it as a calendar I could display in my classroom. Enkutatash, Ethiopian New Year, on the Ethiopic calendar corresponds to September 11 on the Gregorian calendar. Enkutatash is believed to be the day the Queen of Sheba returned to her homeland after her visit to King Solomon in Jerusalem in 980 BCE. She was welcomed with enku, jewels. 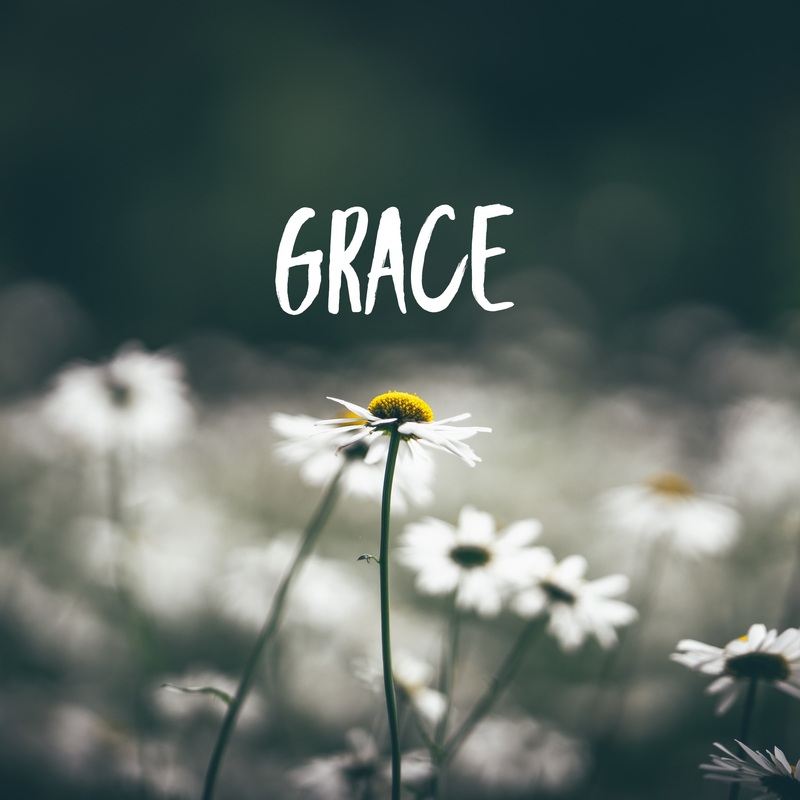 Enkutatash, which means “gift of jewels,” has another ancient meaning that commemorates the receding of the great flood during the time of Noah. The day also marks the end of the rainy season and the beginning of sunny days. 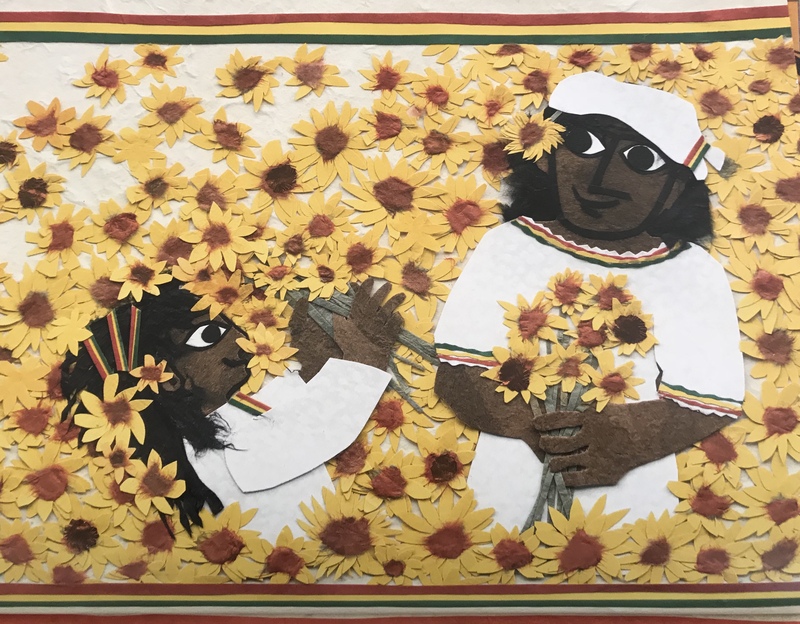 Today, on Enkutatash, children in new, white, hand-woven cotton clothes offer yellow Meskel daisies, along with pictures they have painted, as gifts to friends and neighbors. I think I have found a new tradition to start with my students! In her poem about the June New Year, We Tripantu in Chile, Marilyn leads me in with simple sentence structure, “The night is cold./ My family is warm.” I love when the simplest of language can tell so much. She continues this pattern with “The air is quiet. 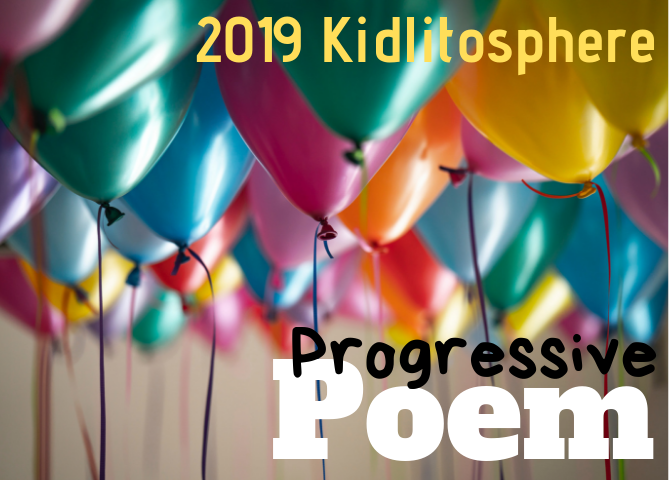 / My family is loud.” As a writing prompt, I want to try using the pattern of opposites for my own poem. It could be about a season or a celebration. Would you like to try one, too? Share in the comments. My own New Year celebration happens on my birthday, August 11th. The peak of the Perseid meteor showers occur around this day every year. This year I should make a point of going outside to dance. My Mom and step-daughter share your birthday! love your poem and your post about Marilyn’s new book. I will have to get it for sure. What a gorgeous looking book! 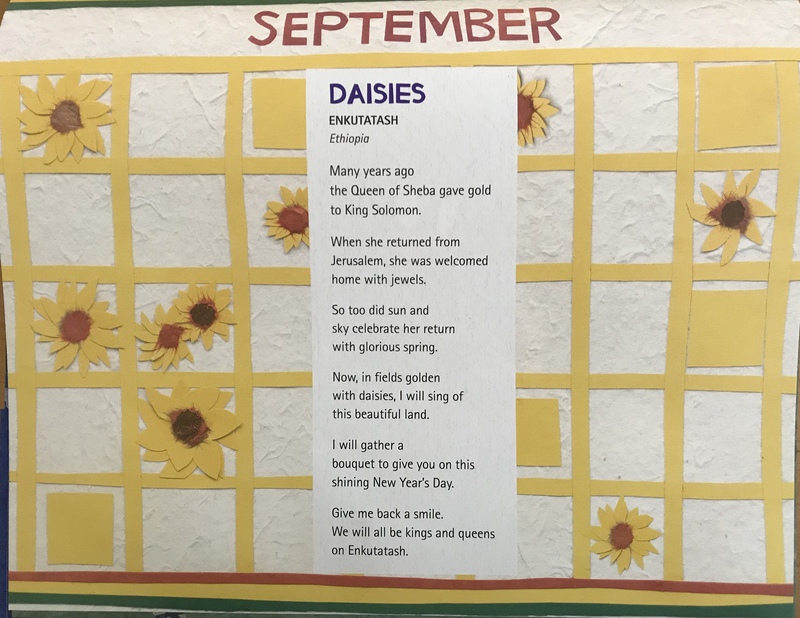 And I love the way you used the mentor text to write your own birthday poem. Wonderful! Oh, I just loved this post from start to finish. First, the illustrations are gorgeous. They do look like you should be able to feel the textures! 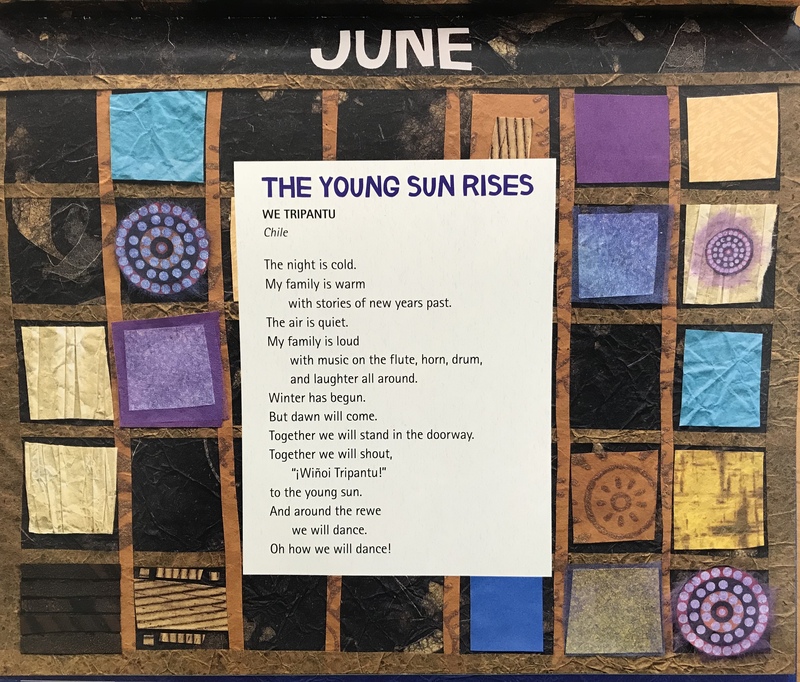 Next, I love the idea that each month has a New Year–a fresh start–and then there’s the simple fact that Marilyn Singer’s poems are always a delight. Finally, I love how you used her poem “June” as a mentor to write your wonderful birthday poem. Here’s to dancing under meteor showers, twirling in the breeze! Well done, Margaret! Thank you for giving us a glimpse of Marilyn’s new book. I can’t wait to get a copy! I love your idea of starting a new 9/11 tradition, although daisies aren’t exactly in season here in September. Your poem is wonderful. I can imagine you out under your oak tree, twirling with the stars! Good Morning, Birthday twin! This book is spectacular. I have been a fan of Euka Holmes since Voice of Freedom and hearing her speak. I’m pretty sure she is the source of my collage craving….which I’m having fun with this summer.Thank you for the beautiful Birthday Song. Those cicadas do know ‘Happy Birthday’ don’t they? 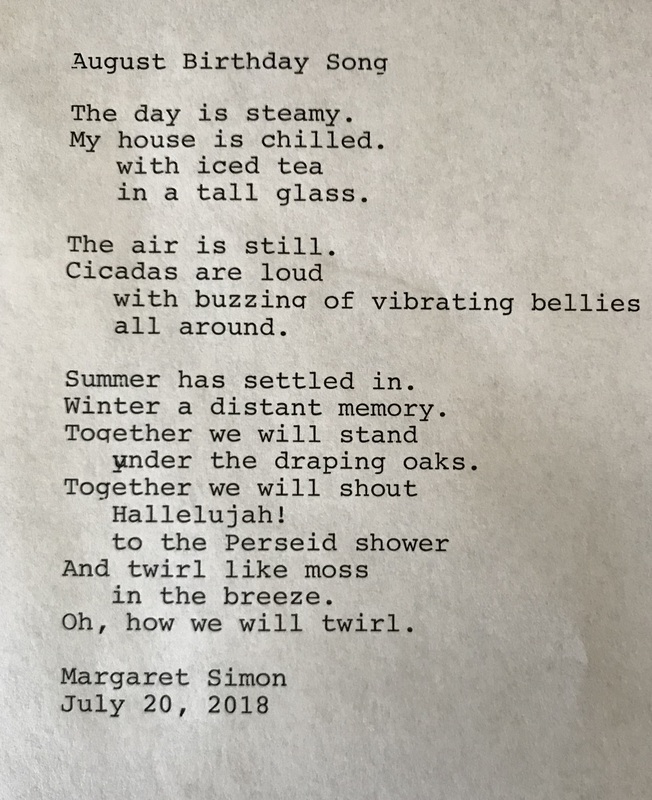 I’ve been trying to write an August poem for years now and haven’t made it quite yet. Maybe this year? I’ve tried for years to write one, too. This mentor text from Marilyn helped me to stop looking for some profound message and just do it. 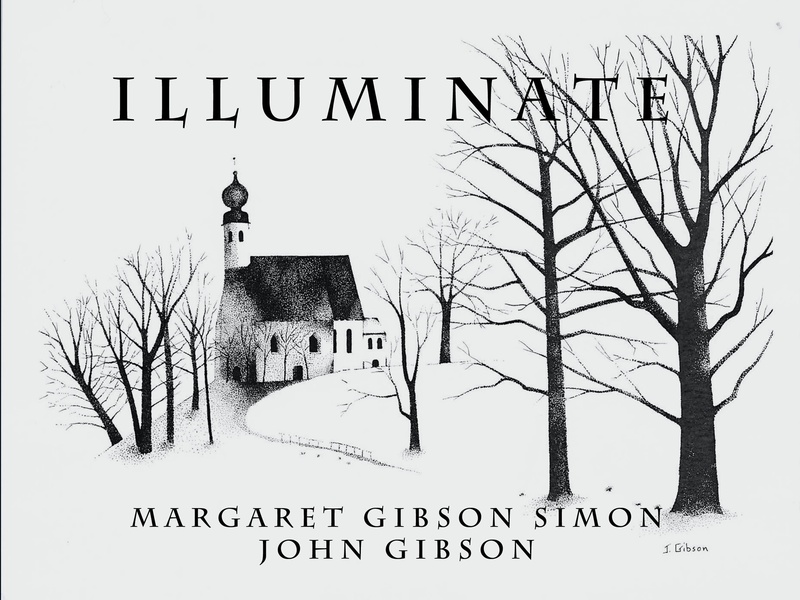 The illustrator is Susan Roth, but her technique is similar to Euka’s. Yes, I think we should adopt Ethiopia’s New Year celebration!! Daisies and paintings for all! Thank you so much for this, Margaret! I wish I’d had you as a teacher. “under the draping oaks” lovely! I’m excited for this book and how it goes with Marilyn’s others about time and weather around the world. I can feel all the movement in these lines contrasted to the “still” air, thanks. now 3,000 flowers remember their names. Oops, I wanted to thank you for sharing this, and congratulations to Marilyn!